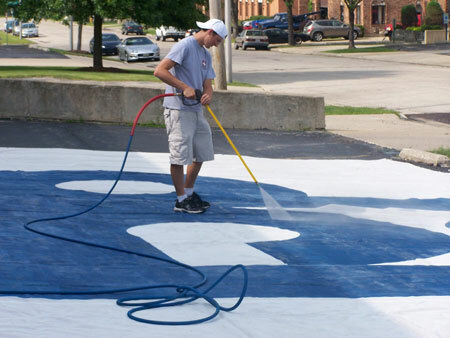 It's never too late to get started with spring cleaning, and during a recent trip to the old Drum Corps International offices in Addison, Ill., DCI staff members aired out the giant banners hung at events throughout the summer. The duty of pressure washing fell to more than capable events intern Bryan Thomas (Seattle Cascades '02-'03, Crossmen '04, The Cadets '05). Find a summertime Drum Corps International event near you!